Most people at some point have that dream of escaping their current world and plonking themselves on a beach somewhere and simply spend their days lazing in the sun. Some with rum runners in hand, some a glass of wine or beer and for some,…smoking an oversized doobie. Now for me to reach that dream, (and I dream of it a lot) I need a boat. 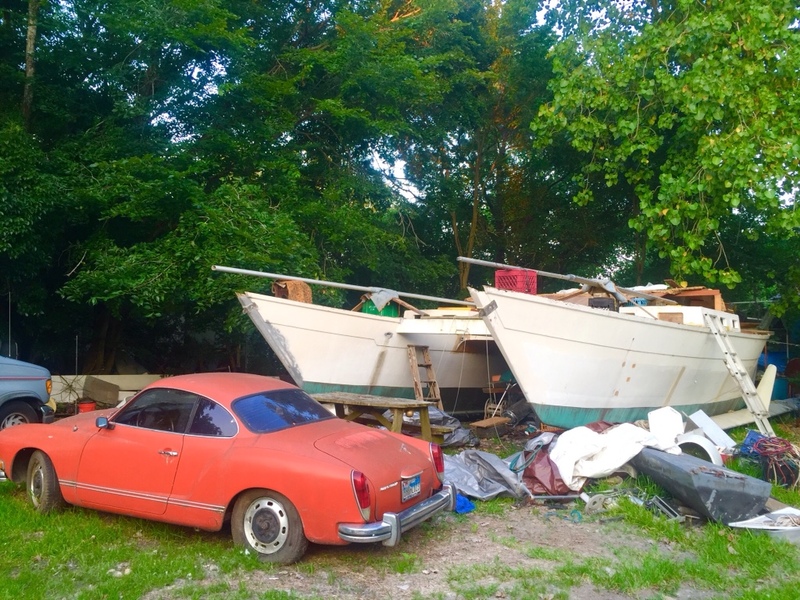 Not just any boat, but a boat that completely embodies the ‘island beach escape’ concept; a boat that I can repair just about anywhere; a boat that I can live on and nose up to knee deep beach, step off and walk to a camp fire on that beach. A boat that I can sail over 3 foot deep shoals, anchor for the night and listen to world making its way through time. And also, on that same boat, journey across the Atlantic or Pacific Oceans in complete comfort and safety. I find myself sitting at bars quite a lot; I don’t think it’s a character flaw, its just that some of the worlds most interesting people seem to be found at bars, especially bars that happen to be on a beach or a waterway somewhere. Try it out for yourself; find a hole in the wall somewhere next to a waterway, preferably with docks containing a range of boats from obvious big value rigs with lots of bright work showing to live-aboards that sit with the waterline somewhere below the surface and a reef growing from the underwater parts and sit for while. Buy a couple of rounds for the more interesting characters and listen; you’ll be amazed at what you can learn. Granted some of the information may have more to do with another planet or an entirely different level of consciousness, however you will be enriched by the experience; that is guaranteed! Anyway, I find myself sitting at bars quite often and enjoy talking about dreams of escaping. My dreams use the boat parameters described above and most responses are in the order of “you can’t have both, a shoal draft for the flats is dangerous to take to the open ocean and the deep keel of an ocean going vessel is restricted to appropriately deep water”. However, years ago I heard of a designer mob named James Wharram Designs, they’re based in UK. 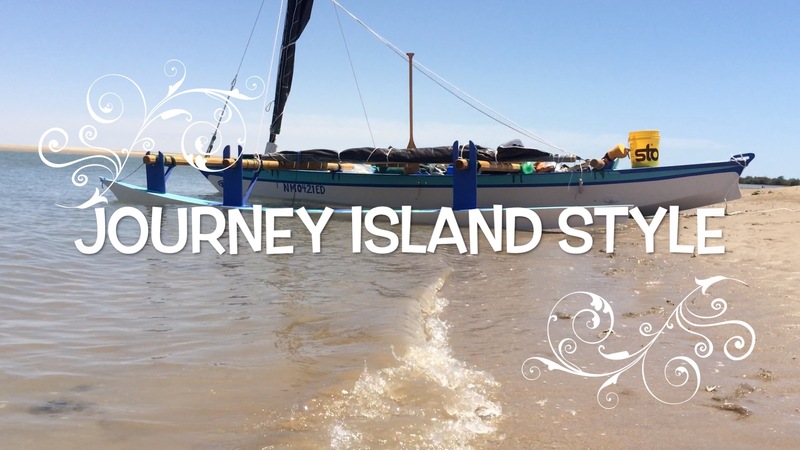 A deep love of the Pacific Islanders and their vessels lead James Wharram and his girls to a path of designing boats that fit precisely my requirements. Polynesian style catamarans with crossbeams lashed to the hulls with rope and simple open spaces in the hulls and up on deck; think of camping on the back porch but having a beach for a backyard; and the backyard can be changed to suit your whims. These boats range from a small 14 foot double canoe with a 10 inch draft to a 63 foot double canoe with just 3 to 5 foot draft! Think about that; a 63 foot long, 28 foot wide sail boat that will float in water that is from hip to shoulder deep!!! Now that is what I call a dream boat, way bigger than what I need at the moment but still what dream! At the moment I’m rebuilding one of the Wharram Designs mid sized boats, a Tangaroa 35. She’s 35 feet long, a shade under 20 feet wide and a draft of just 21 inches or so. We found her through word of mouth, sitting in a yard between Galvaston and Houston Texas and here she had been slowly worked on for around 14 years. 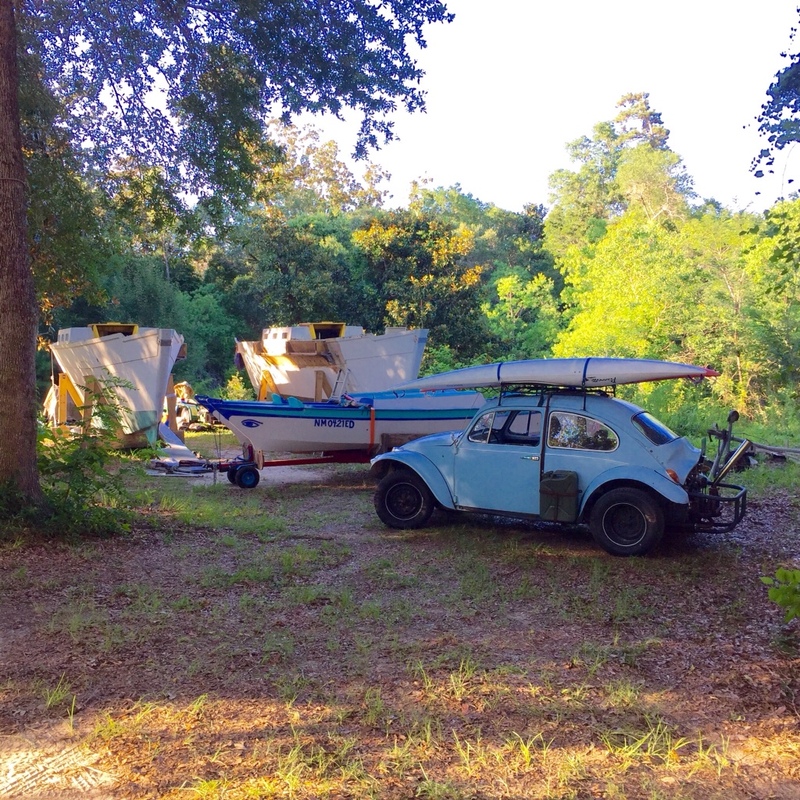 As near as we can tell her life began in the early 1970’s, she has been transported by road from the U.S. North East to Texas where we found her and obviously now in Alabama; in all this time her keels have never kissed the tide. We’re going to change this very soon. A lot of work has gone into her over the years, some good, some not so much, and I’ve found some soft, wet wood in places but now she’s coming along and represents my dream boat of the moment. ‘Curious’, so named as she has a mostly unknown history and she is a cat after all, fulfills my dream parameters of a journey boat and I can feel the rum runners, cold beers and deep red wines on an empty beach are just around the corner,… you’ll have to bring your own doobies. But if I found you at the bar, would you tell me more?